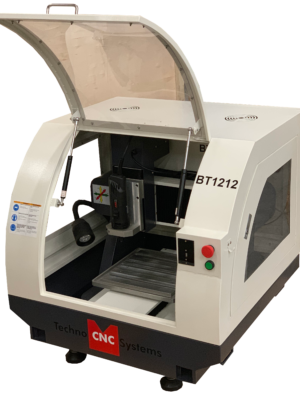 The BT1212 Benchtop CNC Router is a small compact tabletop router that includes a 1 HP router, full safety enclosure, aluminum t-slot table and is driven by brushless stepper motors and drives. The controller is Techno’s ever-so-popular and easy-to-use hand-held controller. Ideal for small part production, prototyping, model making, engraving, woodworking, signage and educational applications. The BT1212 is a tabletop CNC router powered by brushless stepper motors. It is operated with an easy-to-use hand-held controller and is compatible with industry standard G and M codes. The Techno BT1212 is a sturdy machine for precision routing. Its compact size allows it to fit almost anywhere. The hand-held controller is the heart of the operational system. This hand-held controller redefines the phrase “easy-to-use”. Customers can be up and running the same day power is connected to the machine. 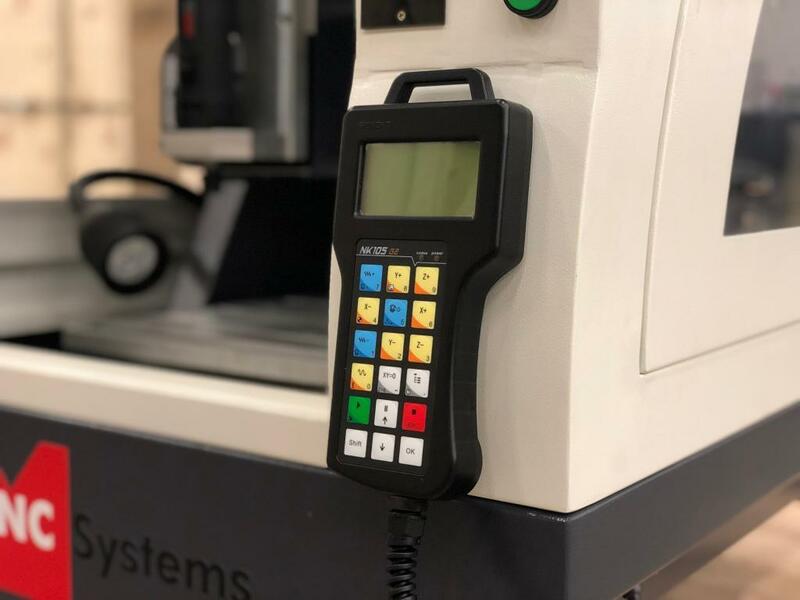 The setup introduction manual provides information that will have users cutting parts in minutes. 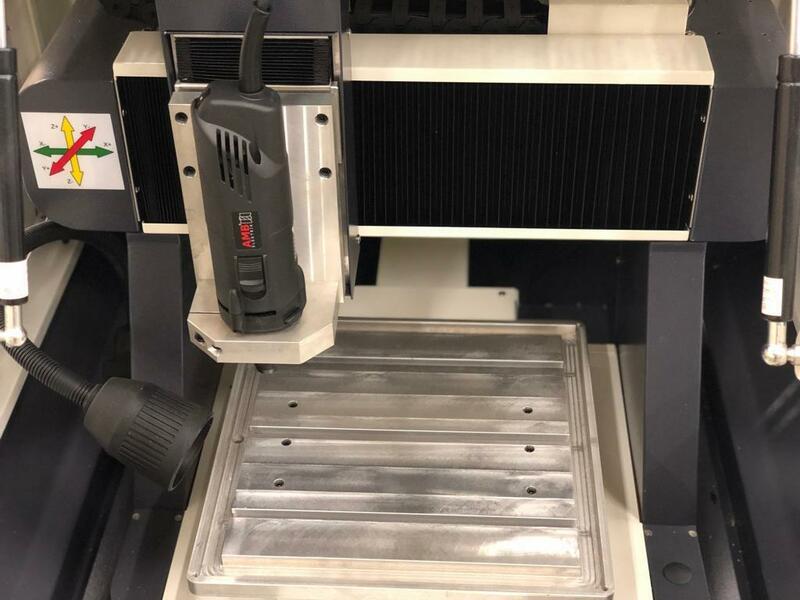 The BT1212 Series Tabletop CNC router includes a vacuum t-slot table that can be easily customized to fit your particular part geometry. The aluminum T-slot profile is in multiple locations across the table surface. This T-slot accepts Techno’s square M6 T-nuts. 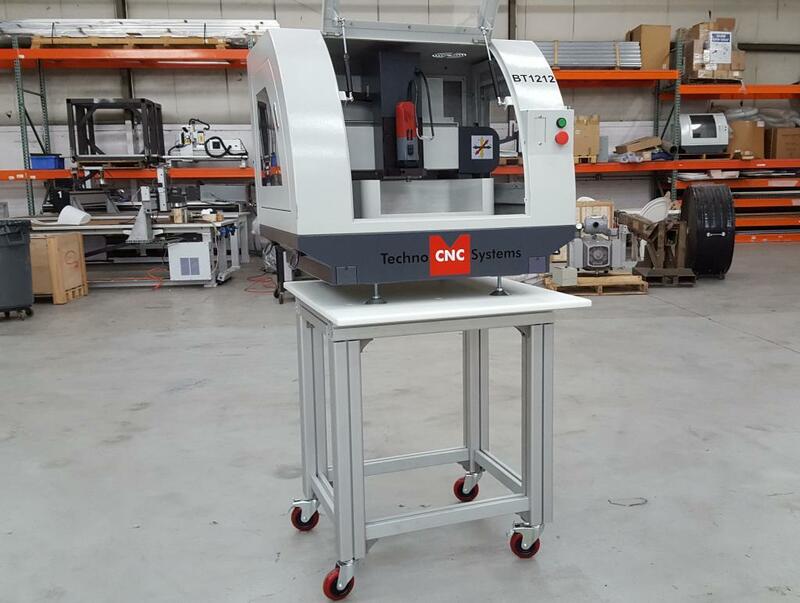 *Option* Techno CNC Systems extruded aluminum machine stand allows their customers to easily move their CNC machine with ease. The heavy duty 80 mm square aluminum extruded frame is light weight yet robust, and embodies the supportive features. 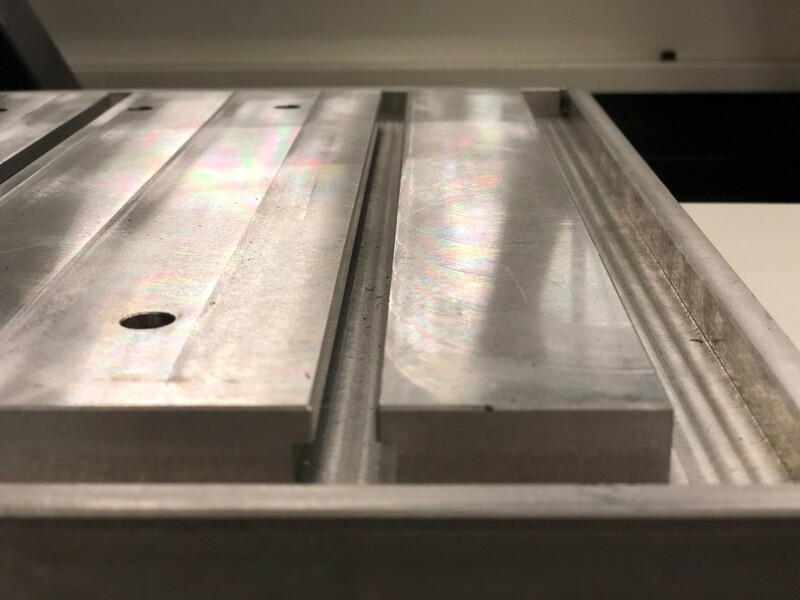 A 3/4″ polypropylene top deck provides a work-space for the CNC machine tools, making for a convenient work bench local to the Techno CNC machine. 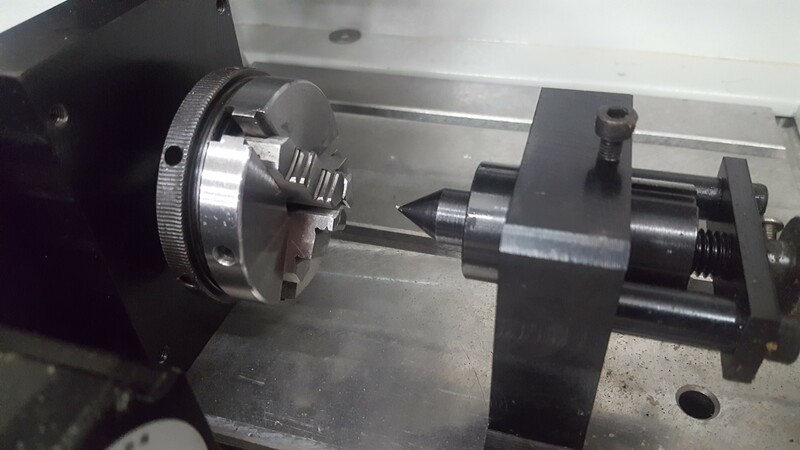 *Option* The 4th axis rotary table on the BT/1212 is designed with a 50mm 3-jaw chuck, and tailstock. 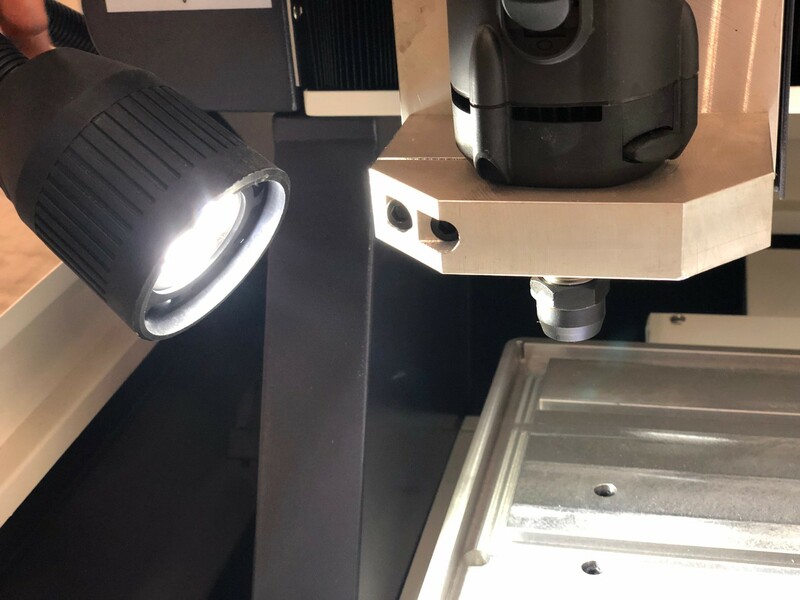 The Bt1212 comes standard with an LED light, which helps illuminate the T-slot table work work surface.